The benefits of giving back and volunteering have long been touted by experts and evidenced by clinical assessment—both for improving the body and the mind. Even if you remove the rigorous clinical lens, it makes sense on the most basic level: giving back just simply makes you feel good. Even when applied to the working world, the residual effects of good acts have been found to improve employee resilience. It’s among the reasons I believe that, when applied to the field of medicine, volunteering has the power to make a serious impact in improving physician burnout. Over the last 3 years, physician burnout has jumped from 45% to 54%, according to a recent study from the University of California. This boost indicates a serious issue in the industry. Changes in how we practice medicine—from rising operating costs to increasing burdens with administrative requirements, all compounded by growing demands from patients—contribute to the multitude of stressors physicians face on the job. But that is why, year after year, I go on international medical missions. It creates an ideal scenario that helps me reset and recharge in the most productive way. Oftentimes physically demanding, international medical missions to remote regions that have limited access to care creates the physical distance needed to one needs to remove themselves from the emotional challenges of daily work. It creates a new perspective and, for me, reminds me why I became a doctor in the first place. My most recent medical mission made a particularly profound impact. I had the privilege of accompanying the Healing the Children Northeast’s annual trip to Ica, Peru, to perform cleft lip and palate surgeries for children and young adults ranging from 4 weeks to 21 years old. Most of our patients travelled long hours to receive the appropriate cleft repairs. Over the course of 1 week, our surgical team completed 75 operations. Financial struggles can discourage residents from participating in humanitarian missions. With generous support from the Dox Foundation, which provides grants for these types of missions, I was able to go on this life-changing mission at little cost. Residents and doctors across the country have the chance to make a huge difference in the lives of struggling populations around the world, and should strongly consider these unique opportunities. Not only are these trips extremely fulfilling for doctors, they also provide a very necessary break from their daily routines. Healthcare leaders should encourage their physicians to take part in philanthropic projects and activities that could ease burnout. This will ultimately benefit both doctors and health systems by relieving some of the burden and stress of the profession while building workplace resilience and morale. 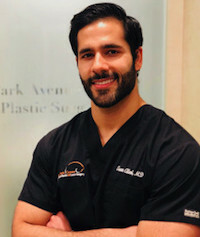 Sean Alemi is an ENT-otolaryngologist in Great Neck, NY, and is affiliated with multiple hospitals in the area, including North Shore University Hospital and St. Francis Hospital. He received his medical degree from University of California Irvine School of Medicine and has been in practice for 3-5 years. The piece reflects the author's views, not necessarily those of the publication.